The Saratov Airlines flight disappeared from radar minutes after departure for city of Orsk, some 1,500 kms to the southeast. 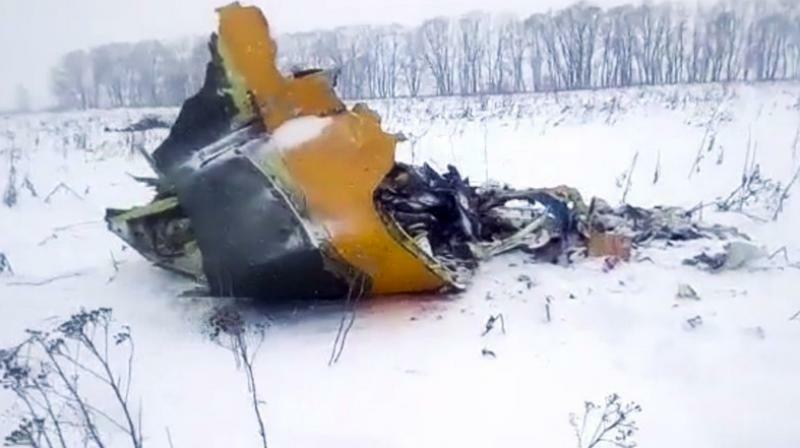 Moscow: A Russian airliner that had just taken off from the country’s second-busiest airport crashed on Sunday, killing all 71 people aboard and scattering jagged chunks of wreckage across a snowy field outside Moscow. The 65 passengers ranged in age from 5 to 79, according to a list posted by the Russian Emergencies Ministry, which did not give their nationalities. Six crew members were also aboard. Emergency workers combed through the field while investigators descended on the airport to search for clues to what brought the jet down. One of the flight recorders was recovered, Russian news reports said, but it was not immediately clear if it was the data or voice recorder. The airport has been the focus of security concerns in the past. Security lapses came under sharp criticism in 2004, after Chechen suicide bombers destroyed two airliners that took off from the airport on the same evening, killing a total of 90 people. A 2011 bombing in the arrivals area killed 37 people. Russia’s Investigative Committee said all possible causes were being considered. Some reports suggested there were questions about whether the plane had been properly de-iced. Moderate snow was falling in much of Moscow at the time of the crash. Airline spokeswoman Elena Voronova told the state news agency RIA Novosti that one of the pilots had more than 5,000 hours of flying time, 2,800 of them in an An-148. The other pilot had 812 hours of experience, largely in that model plane. Tass said the plane entered service in 2010 for a different airline, but was held out of service for two years because of a parts shortage. It resumed flying in 2015 and joined Saratov’s fleet a year ago. President Vladimir Putin put off a planned trip to Sochi to monitor the investigation. Putin was to meet on Monday with Palestinian leader Mahmoud Abbas at the Black Sea resort, where the president has an official residence. The last large-scale crash in Russia occurred on Dec 25, 2016, when a Tu-154 operated by the Russian Defense Ministry on its way to Syria crashed into the Black Sea minutes after takeoff from Sochi.